During World Immunization Week (April 24-30) organizations around the world raise their voices to educate, promote and increase the rates of immunization against vaccine-preventable diseases. Why? Because every child’s life is precious. Yet in developing countries around the world, a child dies every 20 seconds from diseases that can be easily prevented with a vaccine. When you think that every 20 seconds a child dies (which equals 3 children per minute), 180 will die in an hour and 4,320 children will die in a day. Can you imagine 1,440 children dying during your shift of 8 hours at work? I know for many of us here in United States this seems astonishing and incredible, but this is a reality for many mothers and children in developing countries. As a former nurse, an avid educator, and an advocate for children’s health, I know the impact vaccines have on improving children’s chances to grow healthy and get an education. I have personally witnessed the pain and sorrow of mothers whose children were suffering. I remember their stoic faces were as others held back tears while holding their lifeless children in their arms. I witnessed how diarrhea took the lives of little children because their mothers didn’t realize it could be fatal. The sad part is that all of their illnesses could have been prevented with a simple vaccine. Every year I volunteer and travel to do humanitarian missions in developing countries. My personal focus is to educate the rural community leaders and adults about childhood diseases and of the importance of immunizations as a way to prevent these diseases in their children. Without regard to the distances and sacrifices they bear, these parents are eager to learn and walk 5-10 hours to get to a clinic to ask for help and receive proper care. Poverty, malnutrition, and lack of education keep these little communities isolated and far away from common notice or knowledge. I traveled to Uganda with the Shot@life team and witnessed their Childhood Immunization Family Health Day hosted by UNICEF in the districts of Mumbende and Fort Portal after mosque and church services. Mothers with their children lined up and waited patiently to receive medical care, some of them having walked 10-15 miles to get their children immunized. My favorite part was talking to the mothers and listening to their concerns and worries which were not unlike ours. I met mothers that had lost as many as five children before their 5th birthday. Other mothers did not name their children until they were sure they would not die young. In developing countries, many mothers never see their children live to celebrate their 5th birthday. Instead of celebrating a birthday, they are faced with preparing for their child’s burial. Doctors and country representatives of Fort Portal and told me that 386 children under the age of five will die in one day and that 141,000 children under five are lost annually. Uganda is one of 30 countries in the world with the highest number of deaths of children in that age group. I know these mothers and children seem a world far away from us, but they are no different than we are and each child’s life is precious. Children everywhere deserve a shot at a healthy life no matter where they live. The good news is that the worldwide measles vaccination program has resulted in a 79% drop in measles-related deaths (between 2000 and 2014) and we, here in the U.S., can have an impact on the lives of children around the globe. Funding for global vaccine programs is less than 1% of the total U.S. budget, but this funding helps save 2.5 million lives every year. Vaccines don’t just prevent illness. They give children the chance to grow up healthy, attend school, and become productive members of society. They are a “best-buy” in global health with a low cost and a long-term payoff that extends far beyond the health of an individual child. It is also important to remember that vaccinations are not just a global issue – vaccinations can become a local and a national issue, too. We all are part of the human race and we have a shared responsibility for the less fortunate. Policymakers should stand up and support US-led global health programs, specifically those programs focused on saving the lives of children in developing countries by providing them with vaccines. As a mother and a Shot@Life Champion Leader I know that each of us can make a difference this week. Join us in supporting global health by meeting with your legislators and asking for their support in funding global vaccines programs. You can also learn more about how you can support the work of the UN and vaccine partners around the globe at www.shotatlife.org. Think about it – in the 6 or 7 minutes it took you to read this blog post, 18 to 21 children died of vaccine- preventable diseases. Together we can save more children! 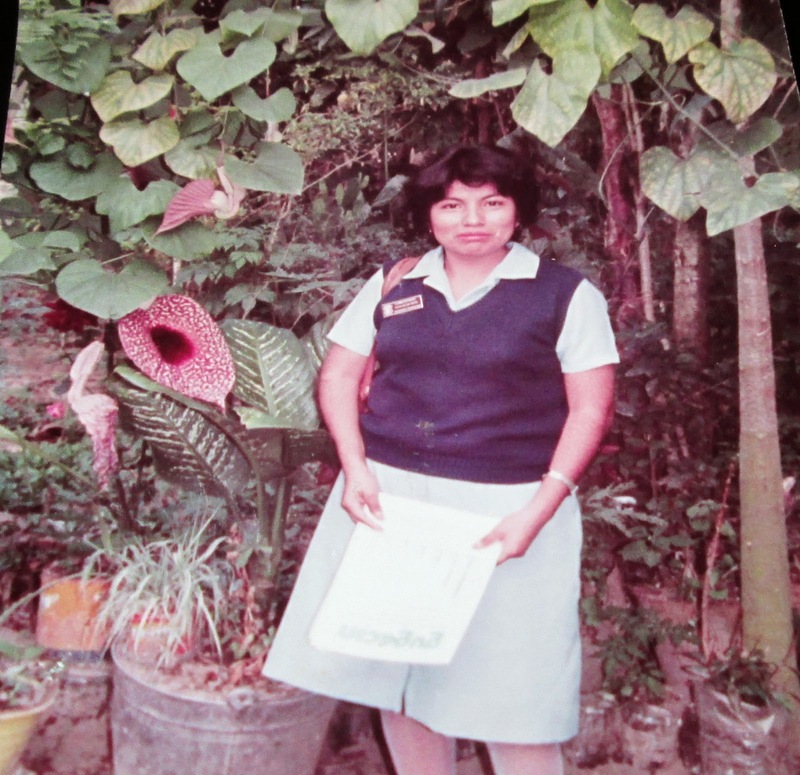 Felisa Hilbert is former nurse from Mexico who worked and participated in many rural vaccine campaigns where she saw firsthand the pain and sorrow that many children suffer due to the lack of vaccines and medical care. Mrs. Hilbert is a humanitarian, a mom and a wife, with a heart to help children in or from developing countries. She is very passionate about global health, poverty and education.